Having to hit the exact target of 26 words makes you weigh every syllable. That’s why I like writing this odd form. Sometimes it leads me to imagine characters and eavesdrop on a crucial moment in their conversation. This time it took me into the realm of poetry. I don’t have the luxury, or perhaps it’s the permission, to write poems often. So I stole the first line from a carol that in my childhood stood the bitter cold grey winter peppered by the shine and glitter of Christmas, when for a rare week we’d turn on the electric fire on in the front room. The story of how Tom Smith sat watching the logs sputter and crack and had the idea to put explosives into his sweet wrappers is from a whole other world. But I like to imagine that his festival of lights was neither more nor less special than the ones we enjoyed as kids and the ones we conjured up for our own children. They are grown now. 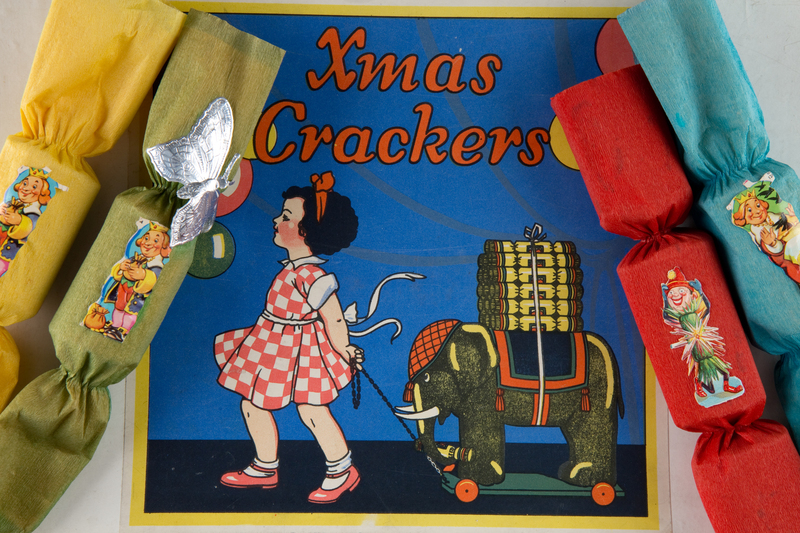 But we still pull crackers at Christmas and wear silly hats, and everyone’s eyes twinkle for a moment. Thank you Tom Smith.